Yes. A podcast! After quietly writing daily art posts for years, in the spring of 2015 I thought it was time to add a little audio to the visual. Here’s the idea behind ART FOR YOUR EAR: When I studied art history in university, my favorite part was, well, basically the gossip. I loved hearing why artists did certain things. What was going on in their personal life, stories about other artists they knew and worked with. ART FOR YOUR EAR is exactly that… inside-scoop stories from amazingly talented contemporary artists. Each episode is just long enough for you to listen while drinking your morning coffee, or during a weekend run, or while working in the studio. Ultimately it’s a chance for all of us to get to know these successful artists, who also happen to be regular people with hilarious stories, before they’re in the art history books. I post episodes every Saturday so that you can start your weekend with a bit of art… for your ear. 140. CJ HENDRY : petrol. rent. snacks. 092. JENNY BROWN : starting from square one. again. 091. SAMANTHA FIELDS : if i’m in the zone, leave me alone. 068. TINA BERNING : step-by-step. every day. 061. EMILY BARLETTA : art. therapy. 034. LEAH GIBERSON : hello, me? 011. ROBERT NOVOGRATZ : how much for the tape measure? What a cool blog idea you have going on, so glad I stumbled upon it. Looking forward to checking out your podcast. I friggin’ love your podcasts! I’ve listened to both, plus the little 1 min intro, and I’m hooked! I can’t wait for the next one, and I’m crossing my fingers that you get hooked and start doing one every week! And then 2/week, and then daily… Ok, the collage glue has gone to my head, please forgive me. Anywho, good luck! You’re awesome! yay! thank you so much… and wait no longer… episode 3 just went up! I LOVE the podcast! So inspiring, so interesting to hear all the different ways people are working. Can’t wait to source some 2″ cubes and hand letter some shiz. Thank you SO MUCH from all the artists for this insightful window! HOORAY! I love listening to these while I work. I’ve been needing a new podcast since I devoured all of Grace Bonney’s After the Jump. thanks so much mary! i love the idea of artists listening while they work! I’m loving the podcast. It helps me feel less lonely while I draw in the studio… It’s almost like having a co-worker for a little while. Love the podcasts! I’m a new mom and can’t get into the studio at the moment and am sooo enjoying at least hearing about other people making art! Hi Danielle! First of all I want to thank “the universe” that I came across your podcast – and then of course I want to THANK YOU for doing it! I had heard of you and your blog, and have your book – but you and the artists you interview are so REAL now. 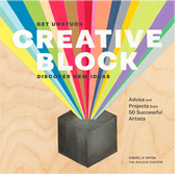 I look up the artists in Creative Block as I listened to the podcasts and its wonderful to hear them talk about their process, life and difficulties, fears, vulnerability. Not to be corny but I feel like I’m listening to a friend and I needed an art friend… I’m 56, have been an artist/creator of some sort of another all my life but found myself going down art/market paths that were often so not me. To make money I really got caught up in the cutesy “shabby chic” world. I don’t hate that stuff but its not my soul. So I just quit social media, selling and sort of disappeared. The last three years have been really tough for my husband and me. We moved far away from everything I know and felt so isolated and lonely. BUT I started painting again.. just painting. Painting over paintings.. completely unplanned and organic and almost trance like – but never “finished” This was really good for my soul – but I really need to make an income and don’t see it coming from these paintings. I’ve been reading, watching online tutorials (Lisa Congdon, etc..) but I’m freaking out how to stay true to myself and make an income. But I find myself so JEALOUS of all the projects, ideas, interaction, support, youth and FRIENDS… but I’m working on it. In any case sorry to go on & on (embarresing) … Mostly I want to say thank you and how I wish I could get to the point where I could be part of your “art tribe”. Happy new year and best wishes with your leap. Danielle, I have been binge listening to the podcast this past week and I’m so hooked. Afterwards I always feel so pumped to make art and I already feel like I’ve learned so many things to help push my own art practice forward. I’ve been following the blog for years and I feel very lucky to own a few pieces and prints by various artists you’ve introduced me to. And now I’ve heard some of them talk, it has just been an awesome full circle art experience for me. It’s very touching hearing the artists thank you for all you do. I also want to thank you! You make the art world so accessible and through your podcast you make the art world seem a little less intimidating. You always say that these artists will end up in the art history books one day, and that is probably true, but I think there is an excellent chance that your name will go down in history as a curator who elevates artists for the sheer joy of it. What you do is freaking amazing. What to say… I feel exactly like Morgan.. binge listening on my drives. There have been tears. There have been a WAIT A MINUTE, I KNOW WHAT THAT MEANS. A lot of running home and playing in sketchbooks. A lot of self-acceptance. And so, Morgan is totally right. Over and over, I hear your artists thanking you, I hear you saying that you need to take your own advice. What I know for sure, is that you’re going down in those books: as an artist, as an art facilitator and as the greatest spokesperson for contemporary artists. Thank you for doing the work you do, my life has been impacted by it. Greatly. So excited to have found your pod casts! Just a note to tell you how much I am enjoying your podcasts! I recently discovered them and you’ve been in my ear ever since! You do an amazing job interviewing the artists. Your sincere interest in them and appreciation for their art is evident. I just downloaded your book and I’m sure I’ll enjoy it equally. I just happened upon this site while looking for art podcasts. This is JUST what I have been looking for. I am eager to share this resource with my high school art students. I have been sharing the work of Esther Pearl Watson for years with my 8th graders, and now I can feel like I know her (or just a little bit!) just finished Catherine Graffam’s interview and not only do I marvel at the paintings, I feel like I hold her in my heart. 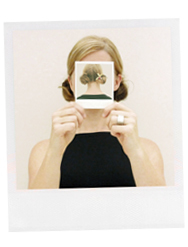 Finally, I am touched that art teachers have a reoccurring role in these interviews. Danielle, thank you. oh, thank YOU kristine. art teachers are so important – thanks for everything you do! Just found your podcast and have been really enjoying it. 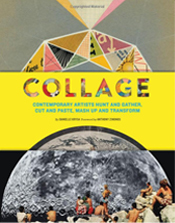 During you discussing with Anthony Zinonos you had mentioned his preferred adhesive for collage, something that sounds like, “OO HOO stick” (?). I wasn’t able to find any online and was wondering if I might trouble you for a source as coincidently I got into collage the day I found the podcast and Zinonos was the first conversation I came across. As a new Mom hearing from other artists that it is okay to take a beat before starting to make again has been so reassuring. I spent some serious time beating myself up for not having any drive or inspiration to make. I loved in the podcast with your Mom how you guys touched on maintaining your identity and having something for yourself besides being “Mom.” Thank you so much for shedding light on this aspect of being a Mom and an Artist, and thank you for your podcast. Geez! I been following you forever and never knew til last week that you have a podcast! DUH! Getting to my creative corner and tuning in for inspiration! Thank you for being so amazing at what you do and for sharing SOO much with us! You were very much one of my biggest inspirations when I started blogging years ago. (Not blogging much anymore but still inspired deeply!). Thanks again! Hi! I’m loving the podcast so much! Home with a new baby and it’s helping keep my brain working and happy while I sneak into my studio for a few minutes a day. Thank you! Also, I’m a huge fan of Sally Kind Benedict and would be so excited to hear her on the show. Hi Danielle I discovered your podcast a few months ago and listening to all the stories of the artists have given me more confidence in what I do. Thank you! About changing anything in the Podcast (please don’t stop doing it! we want more art for your ear!) I wanted to suggest you about picking different topics? I would be also really interested in listening more about how other artists perceive their work and topics they deal with. I just hope, we’ll have more every week! I simply ADORE your podcast and your daily postings. I am still catching up and was SO happy to hear that you are not ending the podcast after 100. I hope you have a wonderful break over the summer with your family and will look forward to your return in the fall. I would like you to check out Katie Daisy and consider if you think this would be a possible interview? I stumbled upon her book “How to be a Wallflower” and then her website. Her studio is a place that I would like to live in! I find her art beautiful and I would love to hear you and her have a conversation! 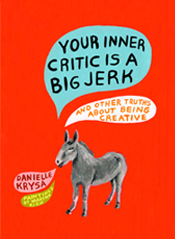 Thanks for all you do….Creative Block changed my life and I thoroughly enjoyed Your Inner Critic as well! Thanks for the list very much. You saved my life and kept me from crashing. So, yeah, I wanted to drop you a little line and say thanks. Last weekend (on little sleep) I drove to south Louisiana to hang a show. Listening to your podcasts while driving the 4 hours to get there and again on the way back, kept me alert and attentive. I especially enjoyed that as I listened, the images of the artist’s work developed in my mind until finally I couldn’t stand it any longer and I had to look it up. It was fun to see how close the actual imagery was to my imagination. Thank you for bringing all of the tribe closer. You should look at interviewing Martin Hsu. He is a San Francisco based artist who does very nice work. You should also interview Yoskay Yamamoto. He is an LA based artist who has great stuff as well. I paint and draw listening to this podcasts, it is a balsam :D. Interview Yuko Shimizu please ! Hi! – Are you done creating podcast episodes? or just taking a break. As you may have heard, I have a new book coming out titled, “Feck Perfuction: Dangerous Ideas on the Business of Life” (Chronicle 2019). 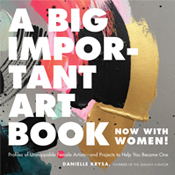 The book is a toolkit to help creatives live, work and create freely and fearlessly. An unedited sample would be attached below, but you don’t have a space for that, so I will forward this through your email. I’d love to be a guest on your Jealous Curator podcast to chat about the creative life and share stories. My publisher asks that any podcasts I record be released after March 4, so there is ample time to plan and record this. Let me know if you have any questions or if we can schedule a date to chat. See article in Dig Delve online magazine.